UPDATE 24 March 2015: The interviews are up here. UPDATE 10 March 2015: The interviews will be soon up, as podcasts. Please bare with us, as they need post-production prep time. Barcelona, here we come again! 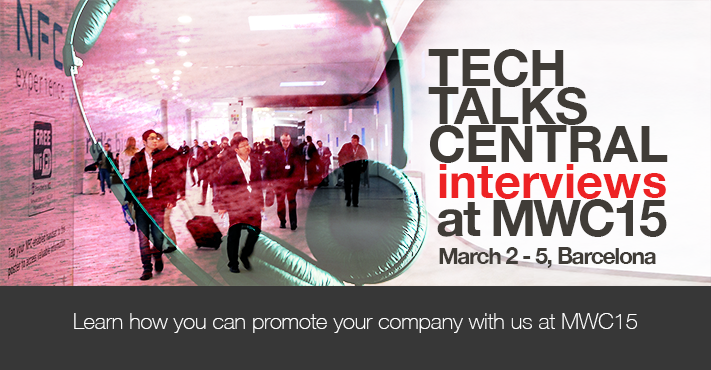 Exactly one year after its inception, during the last Mobile World Congress, our web radio, TechTalksCentral, returns once more to its “birthplace”, Barcelona – now, short of a grown-up! We are visiting the global “Mobile Capital” during the first week of March to celebrate the new feats in mobility, presented there by thousands of high-tech enterprises from all over the world. Our tape recorders will hopefully capture the vibes of the movers and shakers of the mobile ecosystem, with a special focus in eHealth issues, as this year TTC is a proud supporting partner of the Health & Wellness Conference by ECHAlliance at MWC15. Yet, we want to hear from all of you, whether you are a big name (last year, quite a few of them like Sony, Nokia, PayPal, Intel, Firefox, etc. talked to us), an SME (many of them did the same) or a start-up (which may be something new for both of us). All in all, more than 70 countries were listening to our live broadcasts while our reach surpassed 1 million users online! UPDATE: Tech Talks Central is supporting Heroes of the Mobile Fringe Festival, also, this year. We’ll soon have more announcements on what we’ll be doing together, so stay tuned…and if you haven’t already signed up for Swedish Beers do so now. We’ll be there!